Having a detailed, clear set of goals against which to measure your progress can help you focus on saving and avoid falling back into old habits of unnecessary spending. 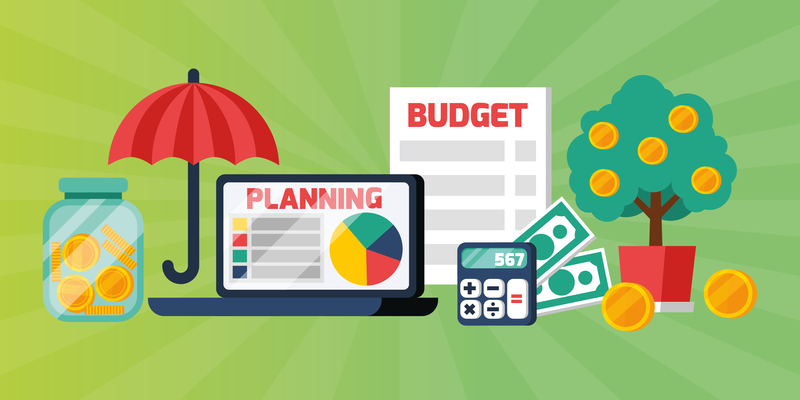 It’s important to re-assess your budget regularly to account for changes in your income and expenses. Use your transaction history to identify where you may be overspending, and try to ‘trim the fat’ where possible. If you have surplus money after subtracting your expenses from your income, try to allocate a portion to saving rather than increasing your lifestyle spending. Make a commitment to sticking to your budget allocations. Keep track of your income and expenses to make sure that you’re not over-spending. These days, there are a number of ways to keep track of your expenditure. Some require manual inputs, but apps like 22seven link with your bank accounts and track and categorise your transactions for you. This takes the homework out of seeing where your money really goes and allows you to focus on making the necessary changes to your spending behaviour. As you create your monthly budget, allocate funds to paying back your debts (especially short-term debt) as soon as possible. This will reduce the amount of interest you end up paying, resulting in significant savings over time. There are different ways of tackling your debt, so prioritise your payments according to your unique circumstances. If you feel overwhelmed by your debt, consider using the services of a debt counsellor. Comparing insurance quotes or negotiating with your existing provider can help you save on your short-term insurance. There are a number of factors that could cause your insurance rates to drop, such as a no-claim period, a change of age or marital status, vehicle depreciation, amount of excess payable, loyalty to your provider and more. You can also present your provider with a cheaper quote from a competitor to see if they are able to match up. If not, compare the options and consider switching providers to get a cheaper rate. Proving very popular is the BetterCompare.co.za insurance comparison platform, where you can do an online quote yourself and see actual rates from popular insurers to help you get the best deal and save. When income tax season opens, remember to declare tax deductibles such as medical expenses not covered by your medical aid, donations and retirement annuity contributions. Consider using the services of a tax consultant to help you maximise your tax benefits. When it comes to spending, going into credit on your credit card should be a last resort. Banks are very generous when it comes to setting credit limits, so consider setting yours at the lowest limit possible. If you need to, you can always increase the limit, but having to take this extra step can help lessen the temptation for unnecessary spending (sorry, the designer high heels will have to wait!). Yes, we all enjoy a bit of instant gratification, but saving towards large purchases always feels more rewarding. And you get a ‘double-saving’ – instead of incurring interest on the money you’ve loaned for your big-ticket item, the money you’re saving is earning interest! That dream holiday will feel even more relaxing when you know it’s paid in full… And you have extra spending money! No matter how well you budget, there are certain expenses that will be totally unexpected. Although you may not know what will spring up during the course of the year, you can plan ahead by having an emergency fund that ideally has at least three months’ worth of expenses. Life happens, so it’s best to be prepared. Make the most of retailer loyalty programmes. Do your research so that you can plan your shopping in a way that maximises your savings. For example, many retailers now offer additional points at certain service stations. Be a savvy shopper and make your money work harder!